This is the 23rd anniversary of the Scotiabank Giller Prize, a prize that was founded in 1994 by Jack Rabinovitch in honour of his wife, the late literary journalist Doris Giller. The prize awards $100,000 annually to the author of the best Canadian novel or short story collection published in English, and $10,000 to each of the finalists. The 2016 Giller Prize jury members are: Canadian writers Lawrence Hill (Jury Chair), Jeet Heer and Kathleen Winter, along with British author Samantha Harvey and Scottish writer Alan Warner. You can find more information about the jurors here. This year I will be joining Kim from Reading Matters and Alison from The Globe and Mail on the Giller Prize Shadow Jury. The shortlist will be announced on September 26th, after which we will be reading and reviewing all the books on the list, and making our shadow selection a few days before the real winner is announced on November 7th. Have you read any of these, or plan to? Anyone wish to make a prediction about the shortlist? 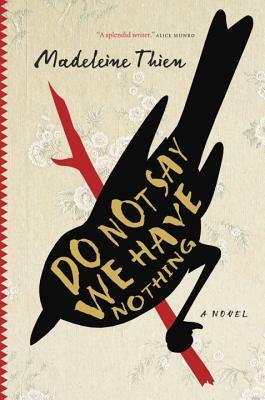 I have only read Madeleine Thien’s book which was fantastic. I got a chance to read the Donoghue early and I have a library hold on the Thien. Then I’ve heard about the Awad and Price. All the rest are completely new to me. I’m sold on “Yiddish for Pirates” just based on the title 🙂 You’ll have some very interesting reading ahead of you for the next eight weeks. Hope you enjoy! How can it be anything but fun? That’s so exciting you get to be on the shadow jury!! Congratulations! And what exactly is a “shadow” jury?? As much as I read, these long lists always make me feel like I have way too much reading left to do. Usually, I haven’t read any of them, and that’s the case here. In fact, I’ve only even heard of two of them. Sigh. I feel the same way. It’s fun to read about them all, but it can feel overwhelming. You’re about to hear more about some of these, then you can decide if there are any that interest you! I have a hold on The Wonder, which is on order at the library, but the Thien won’t get published in the US until mid-October. 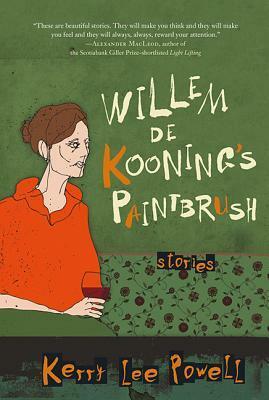 That’s the one I really want to read. Will you start reading from the longlist, or will you wait until the shortlist is announced? I’m looking forward to all the reviews and discussions. I’m going to try to start reading from the longlist in hopes that at least one that I read will make it to the shortlist. That would make October’s reading a little easier. But, really, I wouldn’t mind reading them all, anyway. The deciding factor will be which books I can get my hands on and when. I’ve already read The Party Wall, so I can already recommend that one! Glad to hear you are part of the Shadow Jury for this. I enjoyed participating in Stu’s IFFP shadow panel a couple of years ago, a very rewarding experience. It’s quite a big commitment, but I’m sure you’ll find it very rewarding. 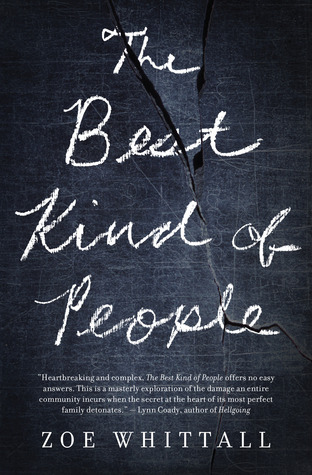 The only one I’ve heard of the Thein which has just made the Booker shortlist, a good sign I suspect. 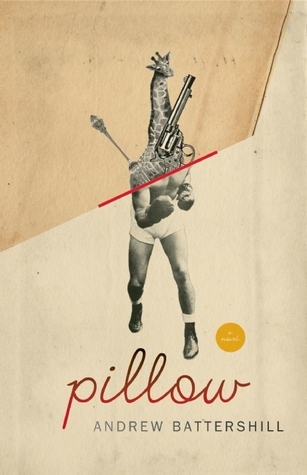 Kerry-Lee Powell’s story collection is brilliant – dark, funny, disturbing at times, and always well-written, poetic (her poetry collection Inheritance was likely my favourite book last year). Nice, too, that she has an Atlantic Canada/New Brunswick connection. Excellent! I’m so glad to hear it! wow! VERY exciting for you Naomi – I’m thrilled for you. I have only heard of a few, too. 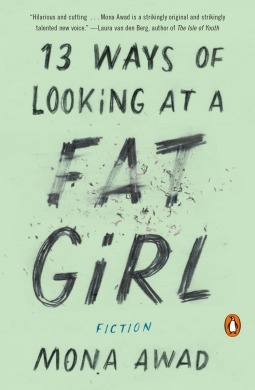 but I must say — and this isn’t typical of me and book covers (I usually don’t even think about them) but a LOT of these covers are extremely enticing. Have fun! Looking forward to your thoughts. Thanks Care! I intend to have fun. And, the covers are intriguing, aren’t they? 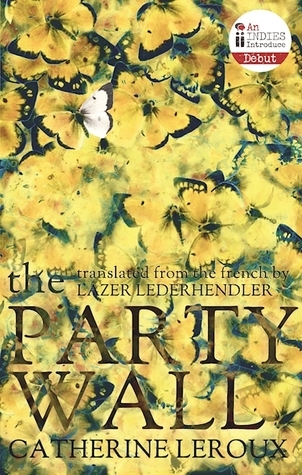 The Party Wall cover is beautiful! I wish more bloggers talked about this prize that I’m vaguely familiar with. That being said this list is very interesting. 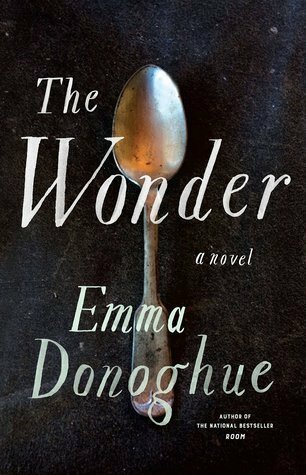 The Wonder is one of the books that I’m interested in checking out. Can’t wait to read the posts to come on this prize. 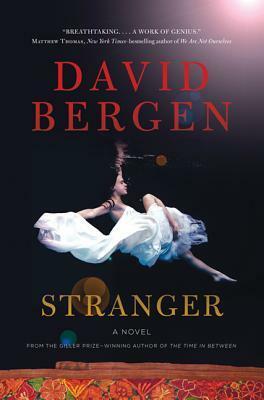 As a Canadian who does not read much Canlit, I am pleased to see the diversity coming in to the Giller long/shortlists even if the winners sometimes tend to the safer/better known writers. The only title I have on hand courtesy of the publisher is Party Wall and I’d like to try and read it if I can (time allowing). I always love to champion the translated titles. The Party Wall is also the only one I have right now, and I’ve just finished it. You’re in for a treat. But be warned – the book is more powerful if you avoid spoilers, including the blurb on the back of the book. I’ll have a review of it up at some point. And, it would be great to hear what you think of it if you find the time to read it! I agree – I love seeing a wide range of books and publishers on this list. It’s much more interesting to me, too, when there are some that I haven’t heard of. I can’t wait to dig in to some of these books! I don’t think I’m familiar with this prize, though perhaps I’ve heard of it and have forgotten. 100k is a huge honor! It must be a big deal in Canada, then. Thanks for bringing it to my attention. I only recognize 2 of these books :s So I will be learning a lot over the next few months as you read and review these books. Have fun!! It *is* a huge deal here. Even though the Governor General Awards have been around much longer, the Giller quickly became the big one because of the prize value. Yiu have a busy few weeks ahead of you! I’m 100 pages into the Madeleine Thien. It was a bit co fusing at times sorting out who was who I thr back story of her father’s history but noemim hooked.,wh wouldn’t be with characters called Sparrow, Swirl and Big Mother Knife?. It’s good to know you’re liking it, Karen! I’ve been hearing good things about many of the books (nothing yet on others). It’s encouraging to hear the praise! Congratulations, Naomi! I can’t wait to read your reviews and see who the Shadow Jury chooses. I’ve been itching to read Yiddish for Pirates, so will definitely be following you along on that one. 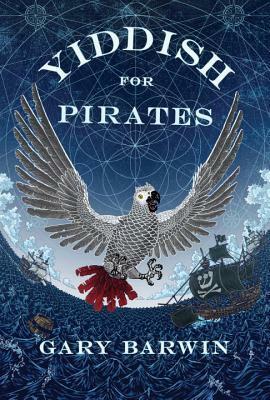 Funny – Yiddish for Pirates is one of the books I hadn’t heard of before the list came out. But it sounds like a fun one, which will be nice! Just picked up The Wonder yesterday and looking forward to it! Going to meet Madeleine Thien today in Guelph with Alexandre Trudeau so I have some serious reading to do with their two books and I was lucky to find a second hand copy of Yiddish for Pirates. I am looking forward to your reviews!!! 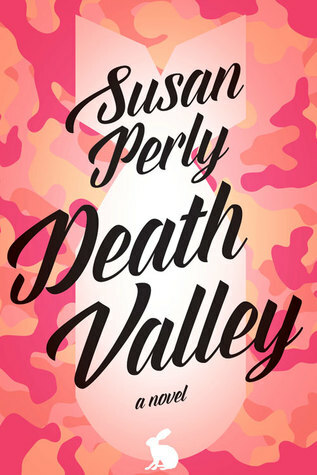 It sounds like you’ve managed to collect more of the Giller books than I have so far, Susan! Have fun in Guelph! Thanks for writing about this – I’m embarrassed to admit that I hadn’t heard of that prize before. It’s really ridiculous how little we hear about Canadian lit in the US, considering how close we are geographically! I look forward to reading your posts on the shadow jury process! Maybe ridiculous, but not surprising. 🙂 I’m happy to be spreading the news! How fun to do the shadow jury!! Can’t wait to see what you think about all of these. I’m voting by cover only (how scientific!) 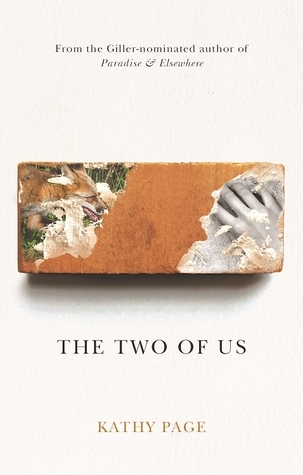 and The Two of Us is so gorgeous. I can’t wait to find out more about that cover by reading the stories inside! With prizes like that, maybe I should move to Canada and publish my book “Canadian for Americans”. What do you think? Wait, where’s Birdie? I’ve heard such good things about it! Birdie came out in the spring of 2015. But it wasn’t on the list last year, either. Humph. Grumble grumble. I still haven’t seen it in an American bookstore. Most of these are on my TBR and I am dreaming of reading them before the shortlist is announced, so that I could play “let’s predict” with you. 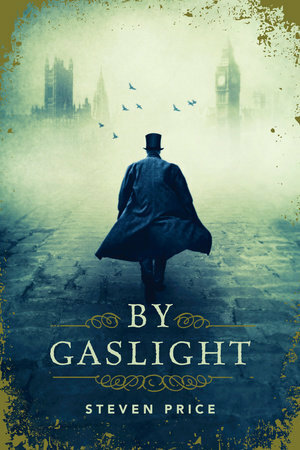 But so far I am stuck at the end of the first chapter of By Gaslight (simply because it’s too heavy to carry about), so I’m not moving as quickly as I should to get those dreams into reality-territory. We’ll see. Good luck with the rest of them! I have to say that the Dickensian look to it really tempts me – I just haven’t gotten to it. I’m kind of hoping you’ll decide to read it… I’d love to know what you think! That’s the main reason I haven’t read it yet, either!